Project management is classified as a set of techniques, tools, and skills that are applied to achieve a specific project goal. Every project is under a time constraint, regardless of the size. If the speculated time for the project lapses before the project is complete, the purpose of the project is defeated. Since every project is on a deadline, it is important to be extremely conscious of time to effectively complete the project. 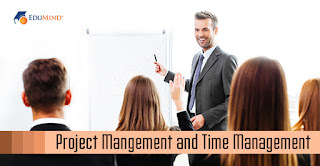 Why is Time Management Important to Project Management? time management cannot be overemphasized. When the true value of time is recognized, it immensely helps with the proper allocation of tasks to be completed for a project. Despite being the most important aspect of project management, time management is often neglected. Individuals tend to pay more attention to the deadline of a project rather than proper allocation of time. Overlooking any part of a project can have overall detrimental effects. 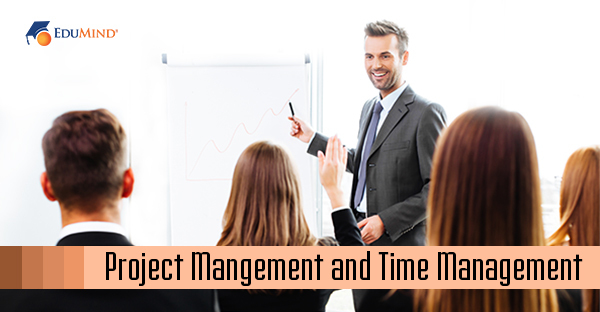 Proper time management ensures that project is not just completed, but that it is successfully completed. 1. Decide what goals are to be achieved. 2. A list of tasks should be created after goal determination. The important and most pressing requirements should be highlighted on the list. 3. Measures should be taken to ensure that the highlighted tasks are performed first. 4. Consistent monitoring must be undertaken to ensure that all tasks are performed in accordance with the planned schedule. If one wishes to enhance their project management skills, One-on-One PMP tutoring can be of great tool for learning the ropes of effective time management.